speakers, a professional Arabic translation is pivotal to tapping this market. Very reliable. Ordered four languages. Quickly delivered in desired format (between tags for use in our app and website). Fast delivery, quality translation, friendly support. Very recommended. Completely satisfied both on quality and speed. So definitely recommended. Pleasant cooperation, quick and accurately. Definitely recommend this company. Simply upload the document to be translated. A qualified translator starts immediatly. This could not be easier. Translation orders completed as fast as possible. 100% satisfaction guarantee. Love it or get your money back. Simple and unique pricing starting at just €0.06 per word. Your text will be translated by qualified native speakers. We recommend using Standard quality for ecommerce product descriptions, social media posts, internal documents or emails, user generated content or web pages translation. Your content will be translated by professionals only. We recommend using Business quality for advanced web content, marketing displays, business reports, presentations, legal or technical documents or app localization. As the official language in over 20 countries, Arabic is the 5th most spoken language and is one of the fastest growing in the world. Whether you are looking to expand your business in Dubai or launch a new product in Tunisia, a professional English to Arabic translation is essential. The Arabic language also forms the basis for many of the words in Spanish and Portuguese (20% by some estimates). It has also influenced other languages such as Indonesian, Malay, Hindi, Bengali and Punjabi. Hence, a professional translation of your content into Arabic could be an important stepping stone to other languages. Why a Professional Arabic Translation? An English to Arabic translation is usually quite an intricate process. Given the differences between the Latin alphabet and Arabic script, obtaining the services of a professional is essential. It is also very important to use a translator who understands the different Arabic dialects and local nuances. For example, so diverse is the language that the Arabic spoken in Cairo could be vastly different to that spoken in another region of Egypt. 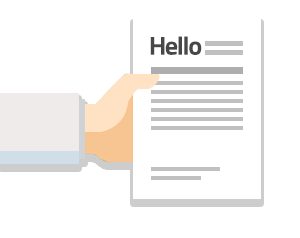 Your translator must also be very comfortable with the source text in order to effectively communicate the message with the original meaning kept intact. Hence, Scrybs approved Arabic translators are fluent in English. Translating your website into Arabic or “localizing” it, requires the expertise of a trained professional. 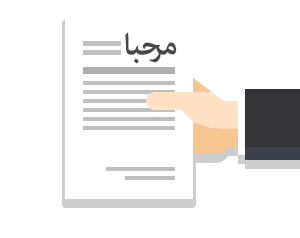 For example, the translator needs take account of text expansion (Arabic script often expands English text by 25%) and left to right convention. Both of these characteristics could alter the formatting of a webpage. With a large population of emerging market consumers, many regions in the middle east provide unique opportunities for you to expand your store’s online sales. In order to make the most of a quality English to Arabic translation, you have to make certain that the entire user experience is localized. For example, not only must the storefront be altered to target the local market but other functions such as customer support and website meta data have to be adapted. The leading ways for online stores to reach their target audience is through Search Engine Optimisation (SEO) and social media. When it comes to SEO, your optimisation strategy for the Arabic market must be altered. This is due to the fact that many english keywords may not be applicable in the Arabic market. Your translator has to carefully and creatively craft new keywords. campaign for the local market. Even though digital media is at the forefront of global expansion, one cannot discount the importance of traditional print media. This is especially true in countries that have low internet penetration. When doing business in this market, a professional English to Arabic translation of your print material is essential. This includes business cards, flyers and PowerPoint presentations.